Malatesta Road Paving & Hot Mix is a Bunbury based company focused on providing Bituminous Surfacing and Asphalt to the South West of WA including Bridgetown. 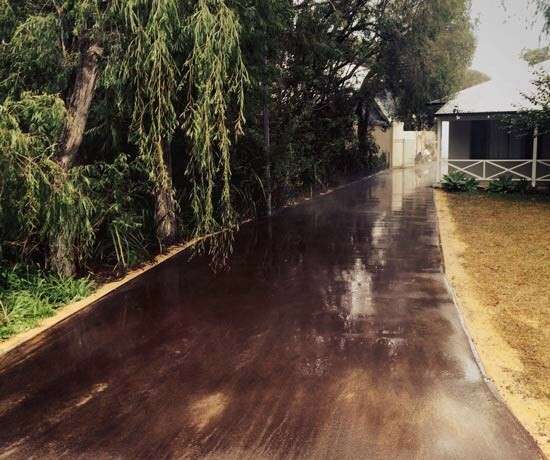 Whilst we provide a complete range of Asphalt & Bitumen Surfacing services to Commercial clients in the Bridgetown region, we are also heavily focussed on our many Residential Clients throughout the South West. Contact Us for a Competitive Quote for your Asphalt & Bitumen driveway requirements in Bridgetown. Malatesta has been in the business of Asphalt Production & Surfacing since 1978. 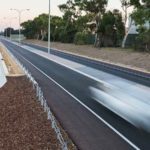 Synonymous with Road Surfacing in the South West since our foundation, Malatesta has grown to be a trusted supplier of the City of Bunbury, City of Busselton, and Shire of Augusta-Margaret River to name just a few of extensive list of clients. So what sets us apart from our competitors? We control all stages of production, supply & lay allowing us to offer the most competitive rates in the South West. Malatesta Road Paving & Hot Mix can offer a complete managed project solution for any sized project. We work alongside local Contractors to deliver high quality outcomes for our clients. Contact Us for a competitive quote anywhere in the South West. Koombana Drive, Bunbury project for the City of Bunbury. 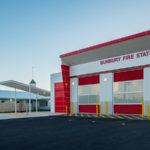 Bunbury Career Fire & Rescue Fire Station, Bunbury for Carbone Brothers. Bunbury City Plaza project for Carbone Brothers, South Bunbury. Malatesta Road Paving and Hot Mix is a Bunbury based company focused on providing Bituminous Surfacing and Asphalt to the South West of WA. Started in 1978 with one asphalt team, bringing the huge benefit of local asphalt production to the South West, the Company has grown to employ 65 local people and services clients all over Western Australia.